Two colors of nail polish of your choice. 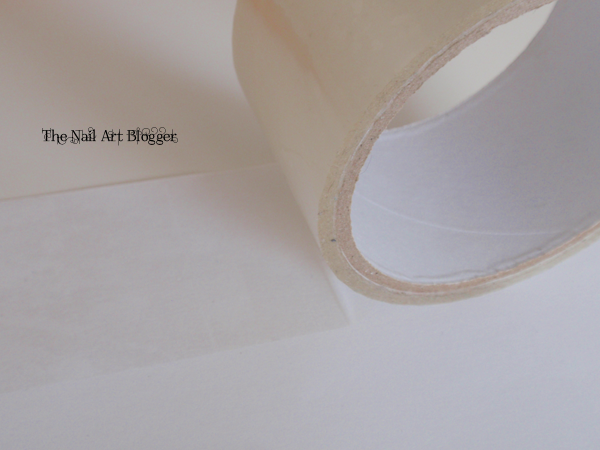 So first, I grab the scotch tape and start taping the piece of paper. I could have gone for just a plastic bag, but since I don’t have any at home at the moment, it didn’t even cross my mind. I tape the whole piece of paper because I wanted to make a lot of decals just in case I ruined some and needed replacement. 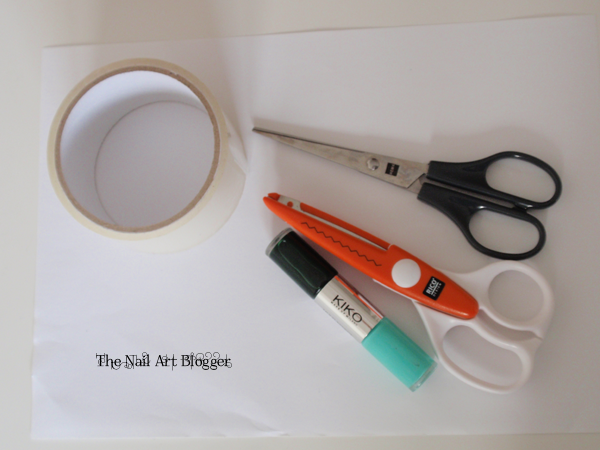 Like I mentioned in the beginning, my crafts scissors don’t cut through plastic, which is why I decided to use the combination of scotch tape and paper. Here are a couple of photos to show you what I mean.. The scissors cut through the taped paper just fine. 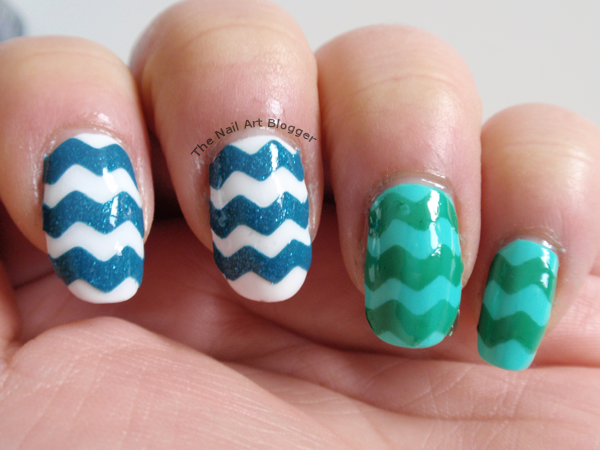 So the first time, I thought okay, let’s try cutting chevron decals like this. But once I added the nail polish and tried cutting, it damaged the nail polish. So, what I did was just paint the rectangles in the taped area, and let them dry. 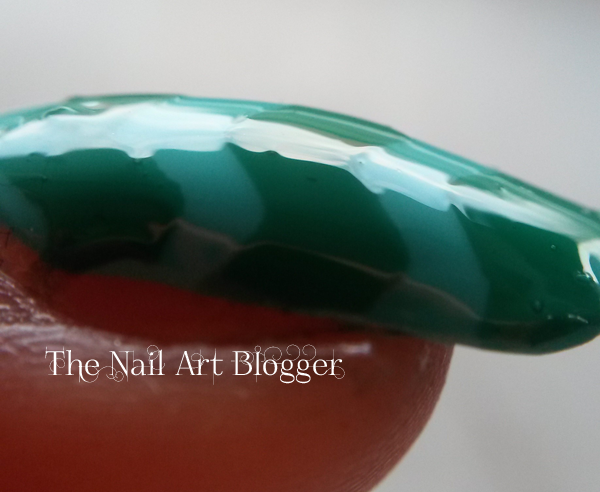 I applied two layers of polish using the glossy color of 09 Tiffany & Jungle Green from the Multi Effect Nail Lacquer by Kiko, and quite randomly, I decided I wanted to use a sand-effect polish as well! So I grabbed the 02 The Incredible sand effect polish from the Superheroes trend edition from Essence and painted three layers of it. 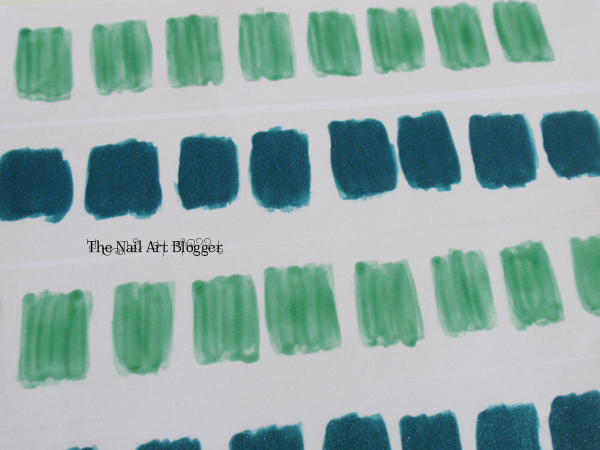 After they were completely dry, I started taking them off the taped paper one-by-one. I did ruin a couple of them in the process, but that’s why I had a whole bunch of extras made. And then I started cutting them into thin zig-zag slices using the crafts scissors. After that I painted my nails using the full color side of 09 Tiffany & Jungle Green from the Multi Effect Nail Lacquer by Kiko on the pinky and ring finger, and #34 white by W7 on my middle finger, index and thumb. 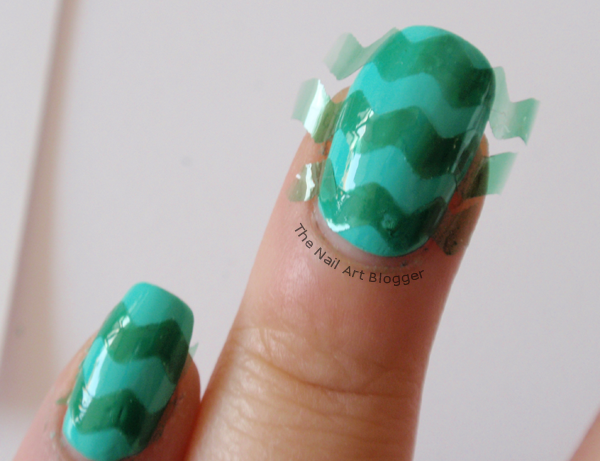 Once your nails are completely dry, start testing the decals so you would know where you want to place them, and how many would you need per nail. Remember to do one nail at a time. Once I was satisfied with the placement, I painted my nail a layer of top coat, and then used tweezers to pick up the decals and place them on my nail. What I did wrong here was pressing on the decal using the back end of the tweezers, and since the decal is thin, I got a dent on it. Yay me! 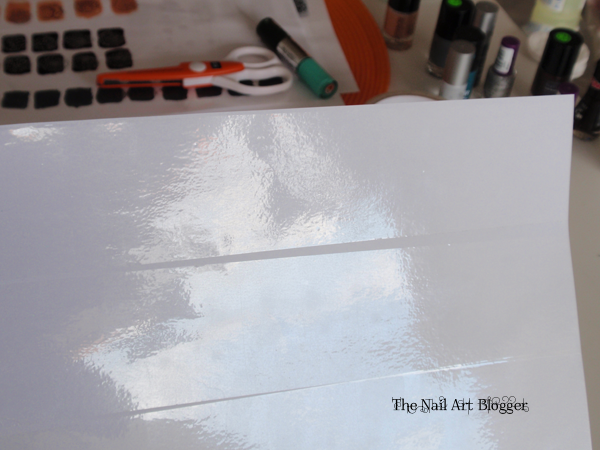 After placing the decals on my nails (remember, I did this one nail at a time), I grabbed my cuticle cutter and started cutting off the extra edges of the decals. (make sure you don’t cut yourself when doing this!) I could have gone for removing them using a thin brush and polish remover, but that would have created more mess around my cuticles. This way there was less extra polish to clean up after cutting the extra parts off. For the thumb, I wanted to try something new. 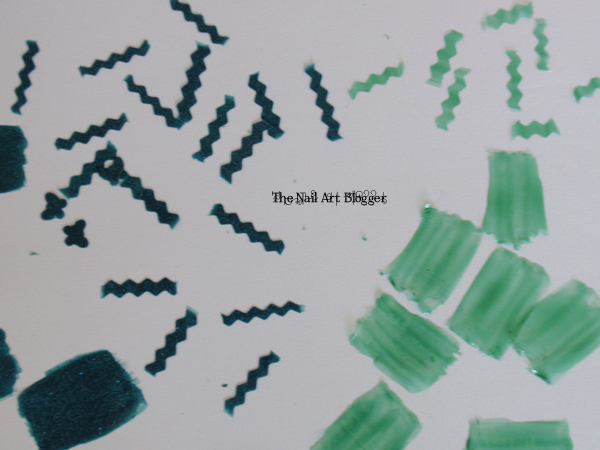 I had recently bought children’s craft paper cutters (to make nail polish decals with), and decided to give it a try. And so the butterflies ended up on my thumb. 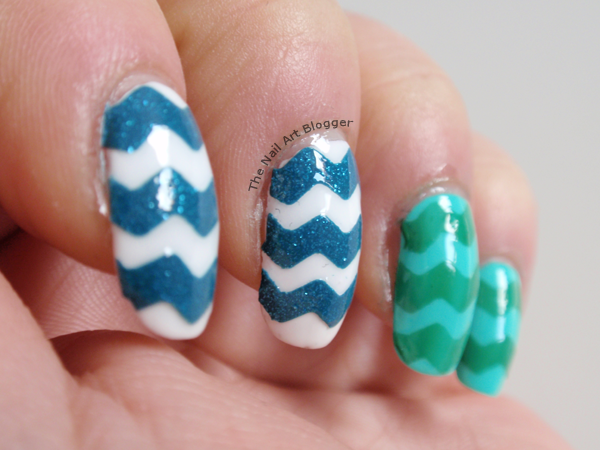 Once I was done with all of my nails, I added a generous amount of top coat using 8in1 nail wonder from P2. Since this top coat never really dries on my nails, I’m going to keep my (other) fingers crossed that I wouldn’t dent the polishes at least until I go to bed. I did get myself a new top coat yesterday, but I haven’t used it yet, haha! Anyway, once you applied your top coat you’re set to go. Here are some photos of the finished result. 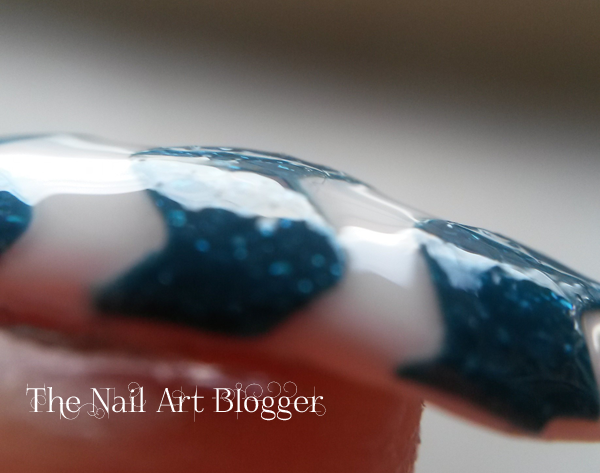 As en extra, I made a couple of macro photos of my nails from the side, just to show you how the surface looked after adding the top coat. 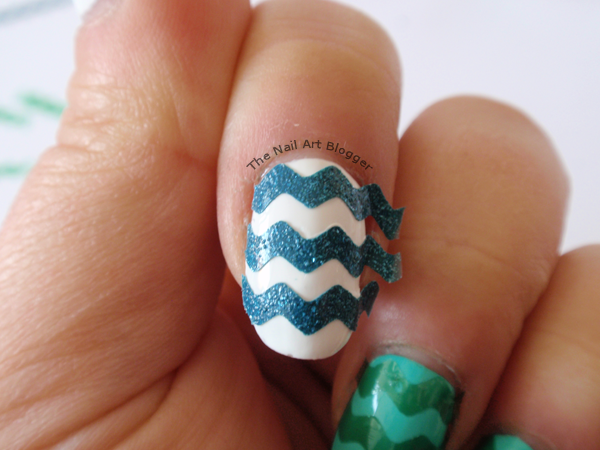 I hope you enjoyed this tutorial, and I would love to hear how it went for you if you ever decide to use this method of making chevron decals.